Very few tablets stray from the normal slate designs we’re accustomed to seeing, but Lenovo surprised many late last year when they unveiled the peculiar looking, Android-powered Yoga Tablet line. 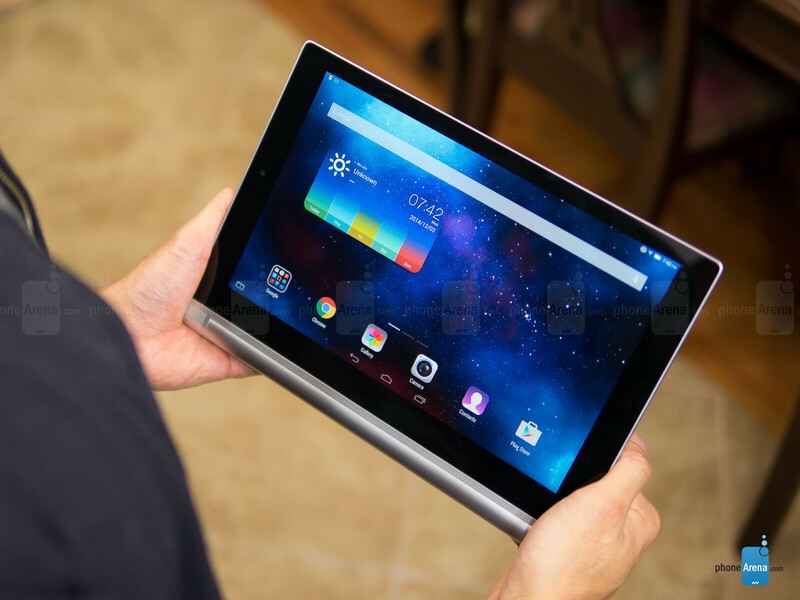 One year later, they’re readying themselves for the upcoming holiday season with its successor in the Lenovo Yoga Tablet 2 – one that looks unchanged on the outside, but is treated to the usual hardware upgrades on the inside. Several notable tablets have launched already in time for the holiday season, possibly overshadowing the Lenovo Yoga Tablet 2 in the process, but its $299.99 cost might prove attractive enough to pursue for many consumers out there. Nothing has changed with the design, but it’s still a refreshing, peculiar looking slate. Flaunting the same unorthodox design of its predecessor, one that stands out for its bottom positioned hand-like kickstand, there’s nothing different that separates it from what we’ve seen previously. 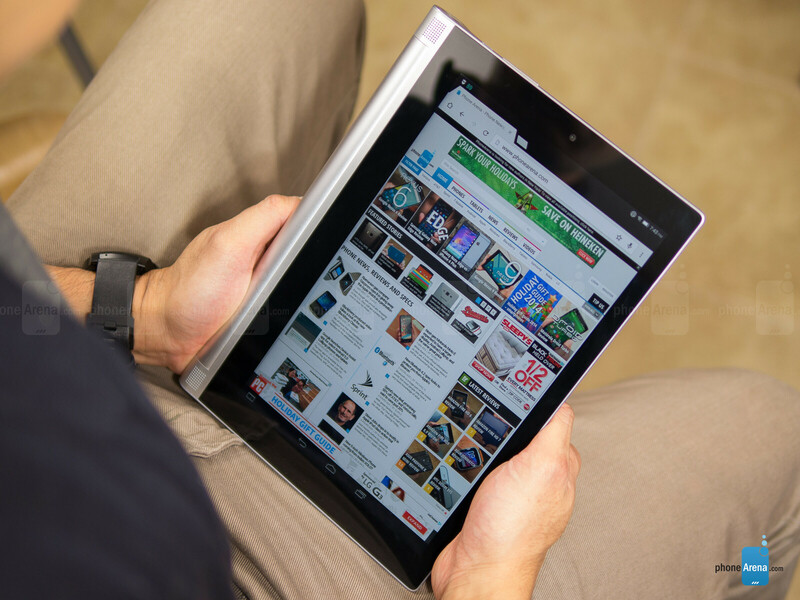 Factoring in its inexpensive price point, it’s somewhat relieving to know that the Lenovo Yoga Tablet 2 exhibits an attractive design – aided by its svelte construction and its metal-plastic casing combination. Naturally, it’s heavy towards the side where its cylindrical hinge is located, but it delivers an ergonomic feel when holding it with a single hand. 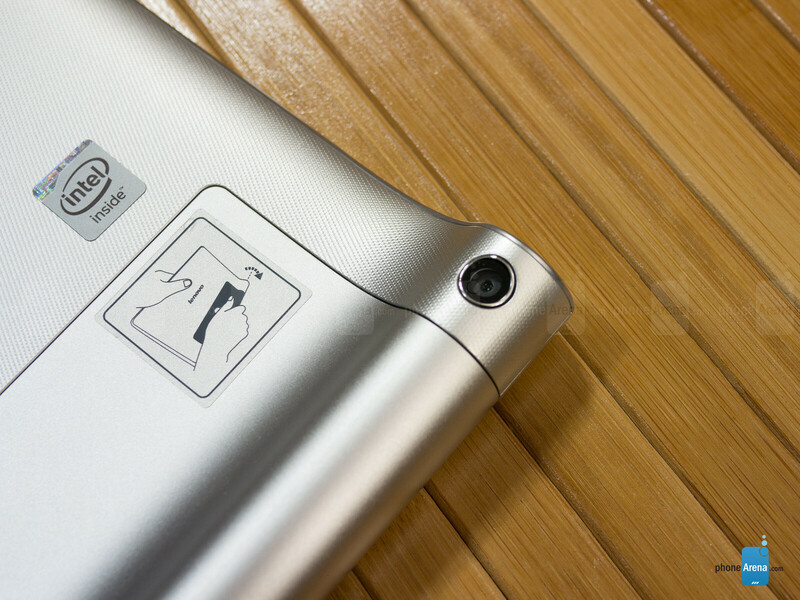 Quickly peeking around the tablet, all of the ports and buttons from before are present here once again. Interestingly, though, they’ve made some improvements to the tablet by allowing its kickstand to extend all the way to a full 180-degrees. Although it’s a nice gesture, we don’t find this new “hang” mode as practical as the others, but hey, it’s an option for those who just need to hang the tablet on something. In addition, it now bears front-firing large-chamber stereo speakers with Wolfson Master HiFi audio processing and Dolby surround sound. We can’t complain about the display, it has enough of the elements to make it attractive. One of our biggest complaints with last year’s model was the low-resolution screen it was packing, which interestingly enough, was made right with the arrival of the Lenovo Yoga Tablet 10 HD+. 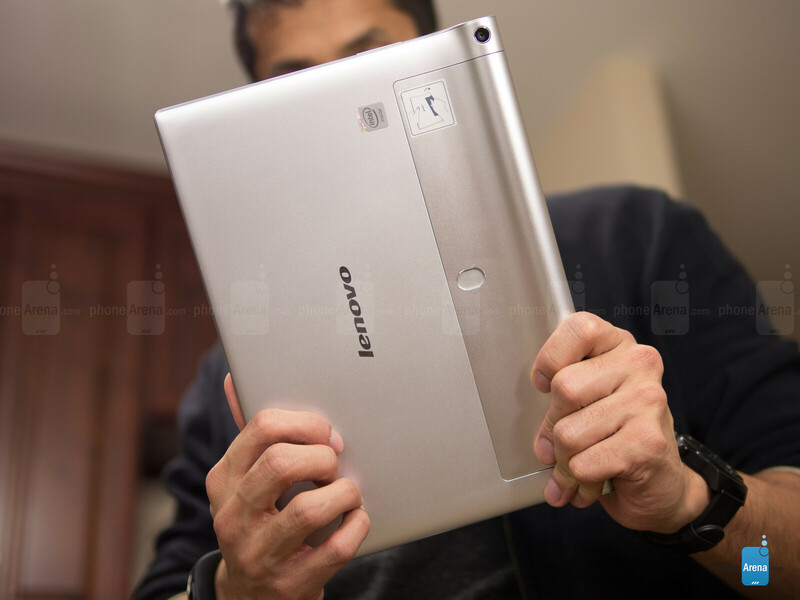 Well, the Lenovo Yoga Tablet 2's display is sporting pretty much the same characteristics as that aforementioned variant – a 10.1-inch 1920 x 1200 IPS LCD display. Color temperature is fairly tolerable, at around 7300 K, with red colors lacking a bit of intensity in comparison with green and blue. As a result, it's a somewhat cold-looking screen, but not to an unbearable extent. Overall, we’re content with the results, thanks to its good looking details, lush-looking color reproduction, and decent 398 nit brightness. Sure, there’s a little bit of bleeding around the edges, but it’s only evident when the screen is displaying only the color black. so why 8 if there is only 2 cons??? IKR. and even both the cons are related to camera. Who uses a camera on a tablet anyway. That's my same point exactly. This I think it's a 8.7. Maybe a 8 because of poor gaming? Probably because they just aren't feeling it and the quality elements it gas doesn't come together well. Same reason they justify rating the iPhone so high but just the opposite.